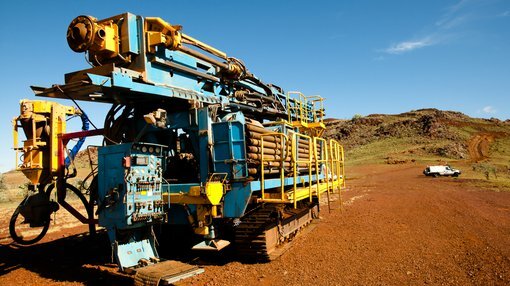 Classic Minerals (ASX:CLZ) has kicked off reverse circulation (RC) drilling at its Forrestania Gold Project (FGP) in Western Australia. Following on from the encouraging results seen at its last program at the Kat Gap, Van Uden West and Lady Lila deposits, CLZ will be targeting these areas again with additional drilling. 3000 metres of RC drilling is now underway at these promising targets. On top of that, CLZ will also be returning to the Lady Magdalene deposit with the hope of locating high-grade mineralisation missed by previous explorers. Here, CLZ will be targeting high-grade cross-cutting lodes. Assay results are expected in early July — not long from now. “Over the past 12 months, the company has been busy gaining a thorough understanding of the local geology and controls on mineralisation. All of the drill programs undertaken at FGP by Classic have yielded high grade gold hits,” he noted. “There is no doubt in my mind that this is a major gold camp containing significant undiscovered resources and we are on the right path to discover and delineate these ore bodies,” added Goodwin. The Forrestania Gold Project contains an existing JORC (2012)-compliant Mineral Resource of 5.3 Mt at 1.39 g/t for 240,000 ounces of gold. A scoping study has also indicated both the technical and financial viability of the project. CLZ recently raised $1 million via an oversubscribed capital raising to fund this current drilling program. Previous drilling results from the Van Uden West prospect confirmed the discovery of a significant new zone of gold mineralisation. Preliminary interpretation suggests that the prospect is geologically similar to Kat Gap, with gold mineralisation sitting adjacent to the granite/greenstone contact. CLZ has planned five holes for 480 metres total to test the strike/depth potential of this new discovery. Previous drilling in May intersected significant gold mineralisation potentially striking in a northwest/south-east direction with a shallow easterly dip — mineralisation remains open. Drill highlights include: 12m at 5.75 g/t gold from 59m including 1m at 25.60 g/t gold from 59m. Lady Lila: the next Bounty goldmine? 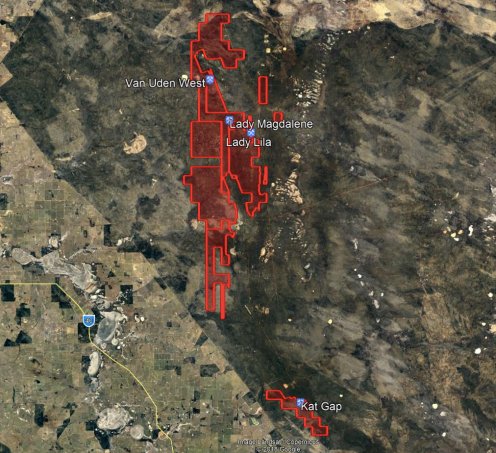 Lady Lila is a BIF-hosted gold deposit that displays similar geological characteristics to the nearby, high-grade, prolific Bounty and Blue Vein ore bodies, which are held by $857 million-capped Kidman Resources (ASX:KDR). Previous drilling confirmed the presence of a thick, steep east dipping ore zone, warranting additional follow-up. The upcoming drill program (five RC holes for 360 metres in total) will focus on extending the mineralisation along strike and at depth. Importantly, mineralisation remains open at depth, and additional follow-up drilling will be undertaken immediately to continue to grow this deposit. In May, five holes (FLLRC001 — FLLRC005 inclusive) for 366 metres were drilled at Lady Lila, with all holes intersecting gold mineralisation. Drill highlights include: 14m at 3.70 g/t gold from 71m including 1m at 13.20 g/t gold from 79m. The present gold mineralisation models indicate a steep easterly dip; future drilling will test a possible vertical dip, as gold deposits in the area have been known to steepen at depth — as is the case with Bounty and Blue Vein. Kat Gap contains a shallow unmined gold deposit discovered in the 1990s, which was the subject of Resource estimations and a scoping study by Sons of Gwalia in 2003. High-grade RC drill intercepts include 15 m at 15.1 g/t gold from 39 m depth and 6 m at 19.1 g/t from 17 m depth. The open-ended deposit lies within a five kilometre long geochemical gold anomaly that has seen very little drill testing. Following the drill program just completed, CLZ says it sees great potential for the discovery of a substantial, shallow, high-grade gold deposit within the Kat Gap project area. The upcoming program will be testing for extensions of the high-grade system. CLZ has 12 holes planned at Kat Gap for a total of 1,100 metres. mineralisation remains open. Drill highlights include: 5m at 14.10 g/t gold from 17m including 1m at 48.40 g/t gold from 20m. Lady Magdalene is a large, modestly graded deposit that appears to host high-grade, cross-cutting gold lodes within existing drill lines that are 100-200 metres apart. Previous diamond drilling confirmed the existence of these lodes, and the planned drilling will further test the extent of strike, dip and grade. CLZ has 12 holes planned here for a total of 1,060 metres. Structural readings taken from recent orientated diamond holes MADD003 and MADD004 revealed several quartz veins and narrow shear zones exhibiting similar orientation characteristics to Lady Ada — once the logging and structural work was completed, the core was assayed and returned promising gold intercepts in those zones, including 6.5m at 3.30 g/t gold from 56.5m (including 1m at 9.52 g/t gold from 60m). This is a pivotal development for CLZ, with the Lady Magdalene deposit appearing to host high-grade cross-cutting zones of gold mineralisation which are analogous to the high-grade Lady Ada mine. The upcoming RC drilling program will further delineate the dip, plunge and general direction of the high-grade structures within Lady Magdalene.